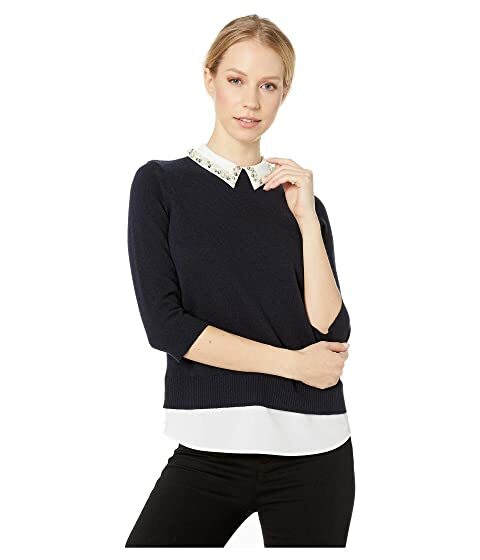 Go for a look that says pretty and posh with the lovely Lunna Sweater from Ted Baker®. 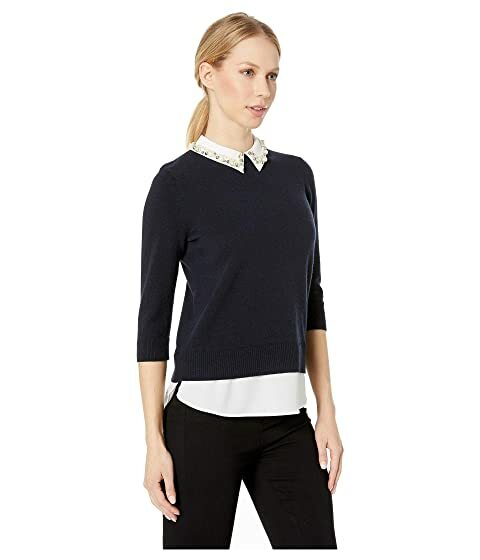 Peter pan collar with pearl details. 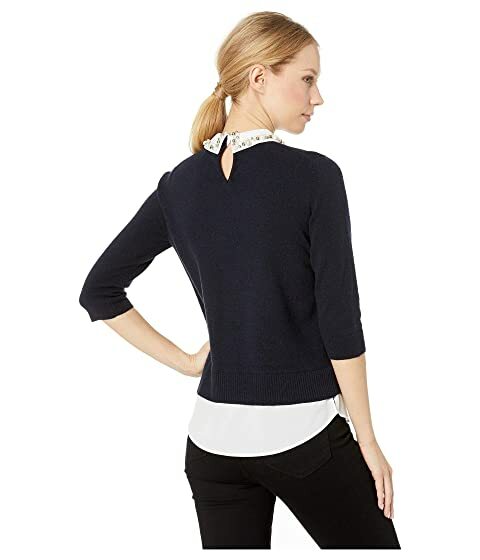 79% merino wool, 21% polyamide.